With the announcement a few weeks back I thought I’d look back on where I can send my team to get certified. For the last few years, AWS Certification has only had their testing via PSI, and in Perth, that meant one venue, with two kiosks. Prior to that, there were more test centres (with Kryterion as the test provider, as per previous blog post in 2017). But now Pearson VUE are in the mix along side PSI, and the expansion is great. 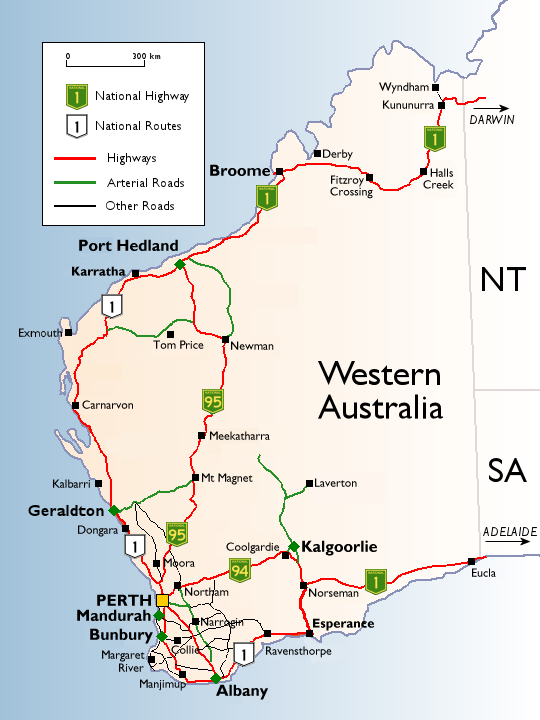 Geraldton is several hours drive north from Perth, at around 420kms (260mi), with a population around 40,000. The rest of Western Australia north of that is probably only another 60,000 people in total across Karratha (16k), Carnarvon, Exmouth, Port Headland, Dampier, and Exmouth. For comparisons, check out this. Suffice to say, its a bloody long way. My wife lived for a while in Carnarvon, half way up the coast; that was around 10 hours driving to get there. It would be interesting to see Busselton (pop 74k), and Albany, both to the south have some availability hereto help get people services without having to trek for days, or not bother at all. While everyone is making promises to themselves for the new year, its probably time to do some well earnde maintenance on your own laptop: applying the current versions of applications installed on your laptop. If you have a Linux system, its probably as simple as apt-get update && apt-get upgrade. You’ll need to look out for major Linux distribution updates (eg, Debian Jessie -> Stretch), as well as any package updates that have dependencies on new, previously not locally installed libraries. If you’re prompted for configuration file changes, you’ll want to merge any local settings into the package-provided config files. 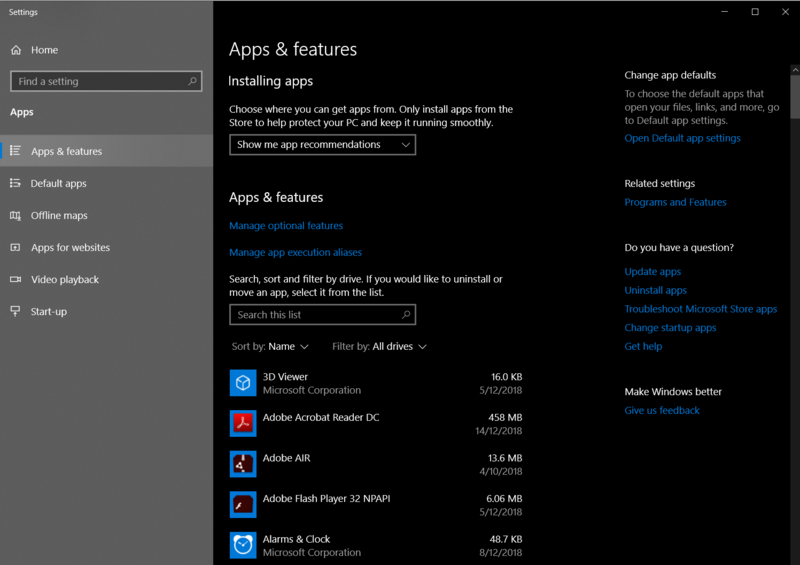 One method is to look at your own list of installed applications. Click the start button, and search for “Add or Remove Applications”. The list should appear, such as below. Then its a case of finding the current version of each application you have. Unfortunately there is no easy way to automate this, given the lack of a consistent repository, download URL or metadata where new installers are available form. So, search for the app, find the download, and then run it. It’s also nice to remove applications you no longer need installed. This lowers your risk, and future maintenance tasks like this one. AWS is the largest public Cloud provider in the world, and it is constantly evolving at a rapid clip, and using the scale of its service to reap the benefits from the economies that can be brought to bear at that scale. The IT industry is itself evolving, with new patterns, protocols, and approaches being created in and out of the cloud. AWS is well placed to embrace many of these trends; things like WebSockets, IPv6, and more. But not everything is “done”in AWS; it’s all a continuous work-in-progress to stay current; but AWS’s approach (independent Service Teams, loose coupling, well-documented API interfaces) and track record puts it far ahead of the competition in the race to stay current. I’ve been using AWS for >10 years now, hold 8 AWS Certifications at this point in time, served nearly 3 years as the only Solution Architect with a “depth” in Security for Australia & New Zealand, have been a Cloud Warrior for 2 years, and now an AWS Ambassador. I’ve developed and delivered critical government solutions in Australia that the entire population depends upon every day, so have a reasonably deep understanding of the requirements that organisations have around their digital systems. With nearly 20 years as a Debian Linux developer, and >20 years delivering online services, my experience puts me in reasonable position to understand the ecosystem. Enforced patterns around serving static content via S3: blocked public access by default, enabled only by CloudFront and Origin Access Identity to serve content stored in S3. side effect: appropriate TLS Certificates, and TLS Protocol and Cipher enforcement. CloudFront and ALB set to HTTPS only (possibly with HTTP-> HTTPS redirect), with TLS 1.2 only! Improved health checks for Network and Application Load Balancers, similar to the existing ELB (Classic). TLS 1.3 on ALB, CloudFront, and the ability to restrict TLS Protocols to TLS 1.2+, or TLS 1.3+. In Australia: AWS finally added to the ASD Protected Cloud list, without a Consumer Guide! None of these are surprises to those who have extensively used AWS and hold those valuable AWS certifications. These items don’t preclude your immediate extensive usage of the Cloud; they present visibility of the continuing evolution that is required in IT.